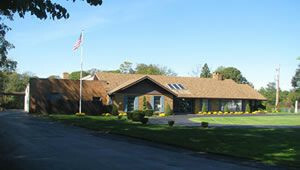 Established by the late William N. and Lorraine Pancoast in 1976, the funeral home built it’s reputation by serving the families of Cumberland, Gloucester, Salem and Atlantic Counties with an empathetic and caring manner. In 1991, Jim Hoffman joined the firm as a full time practitioner working alongside “Bill” and from that point was able to learn by his example and add his own knowledge and experience to the business. After a decade of working together, Mr. Pancoast began his transition into retirement by selling his establishment to his long time employee and friend. Since taking ownership in 2001, Jim and Dolores Hoffman, along with their dedicated full and part time staff continue the traditions of taking pride in serving families by providing personal care and attention in an array of details following the death of a loved one. Through a combined experience of 100 years in funeral service, our entire staff is committed to giving careful and thoughtful attention to the needs of your family.